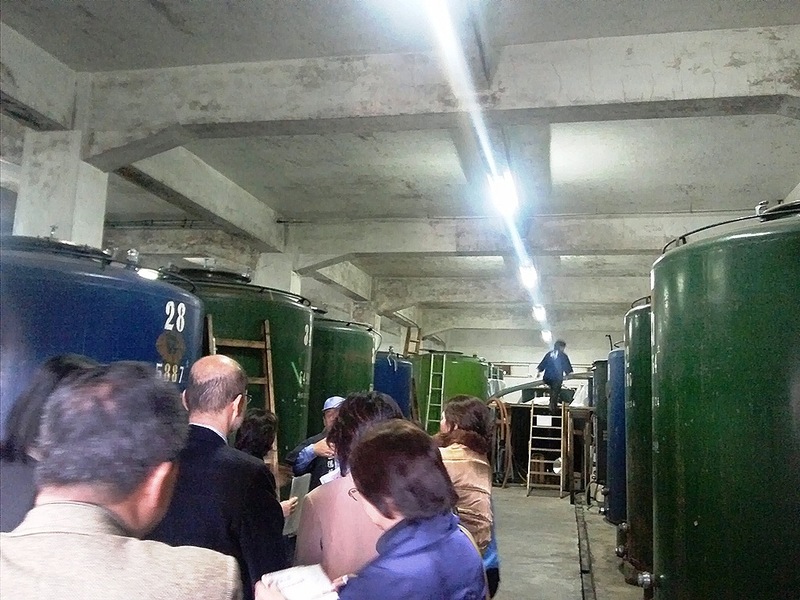 Woderful Japan Tour in Chita Peninsula: Make a toast with sake of Chita! I was in a sake brewery. 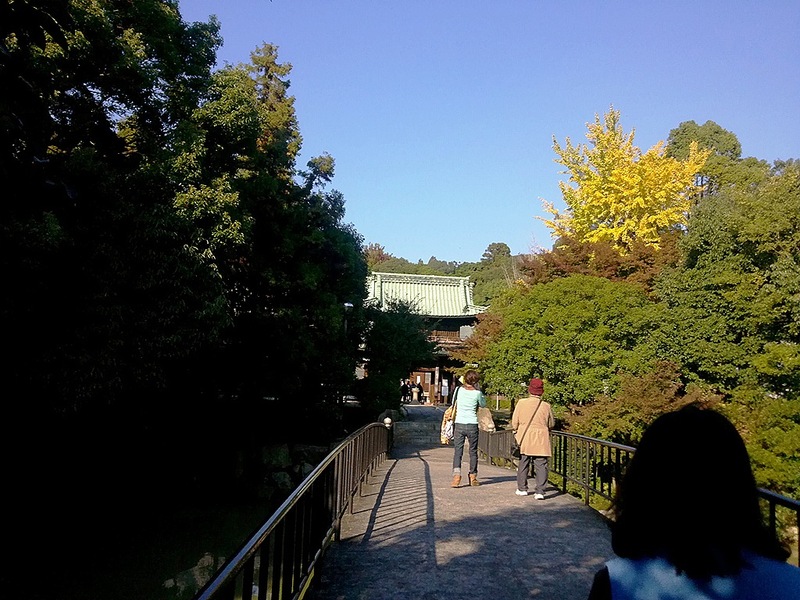 I had seen the word of “Ikuji” many times on my way to the place, and the man standing in front me was also wearing a coat on which the same word was printed. I was curious about it. 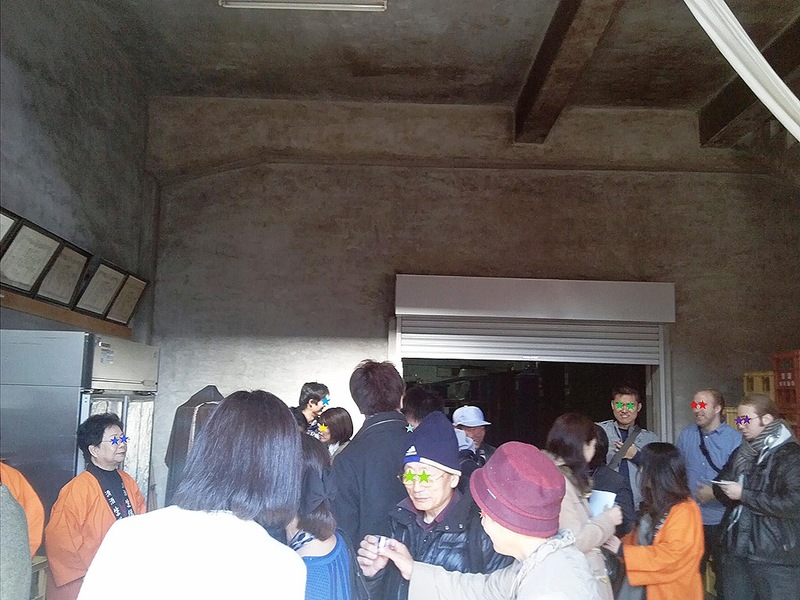 There was an interesting tour visiting around Chita Peninsula on November 16. The participants looked on a Japanese sake brewery, tasted many kinds of sake there, went to an agricultural establishment, studied about vegetables produced in the area and had a healthy lunch set made from some of the products there, and then visited a temple related to Tokugawa Ieyasu, who had established the Edo Shogunate. Actually, the tour was guided in English. I took part in it with some of my friends. 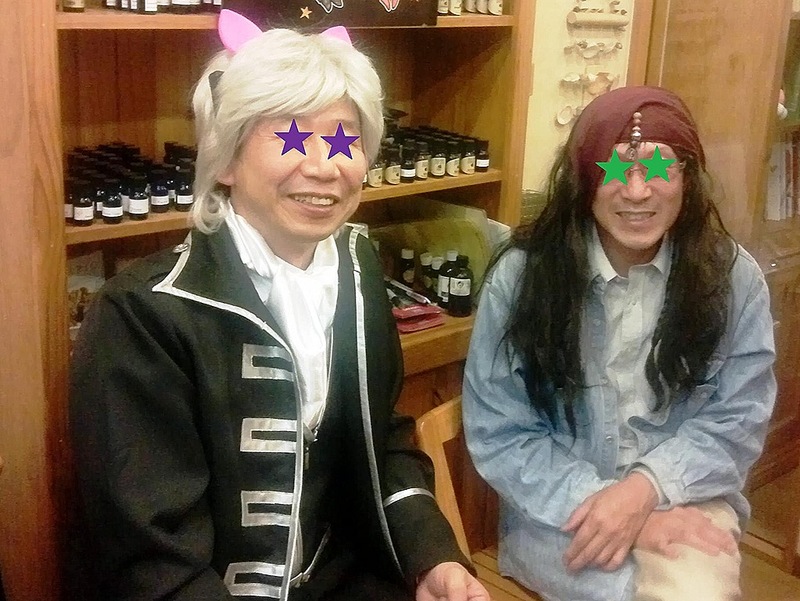 The man I asked is the president of the brewery named Harada Shuzo in Higashiura. He introduced an interesting episode: Long time ago, when Prince Yamatotakeru passed by this area, he got thirsty and he drove an arrow into the ground. Then water started gushing. 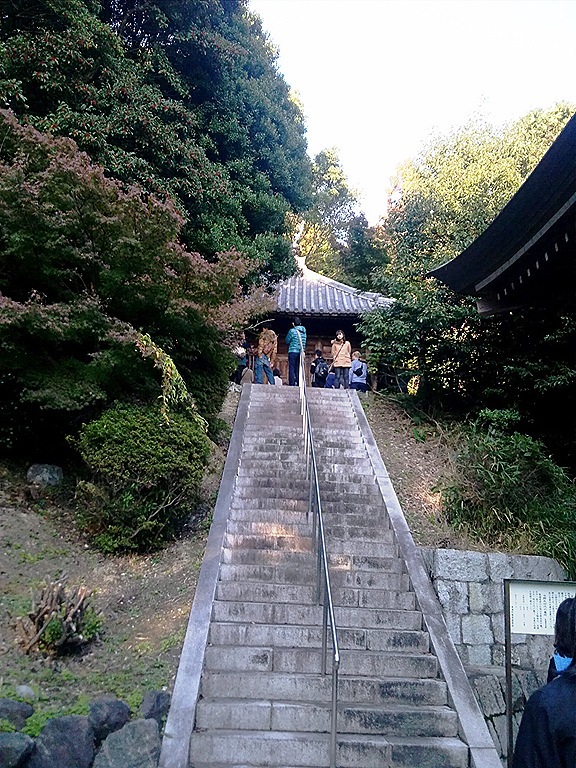 Local people still use the spring and the well is called Ikuji. Nowadays no one knows the derivation of the name. 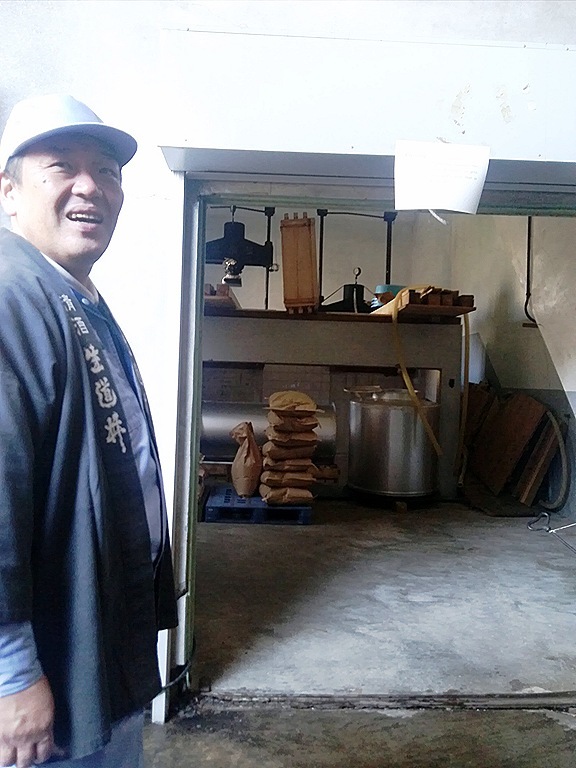 His brewery also uses the water and sells sake named Ikuji. 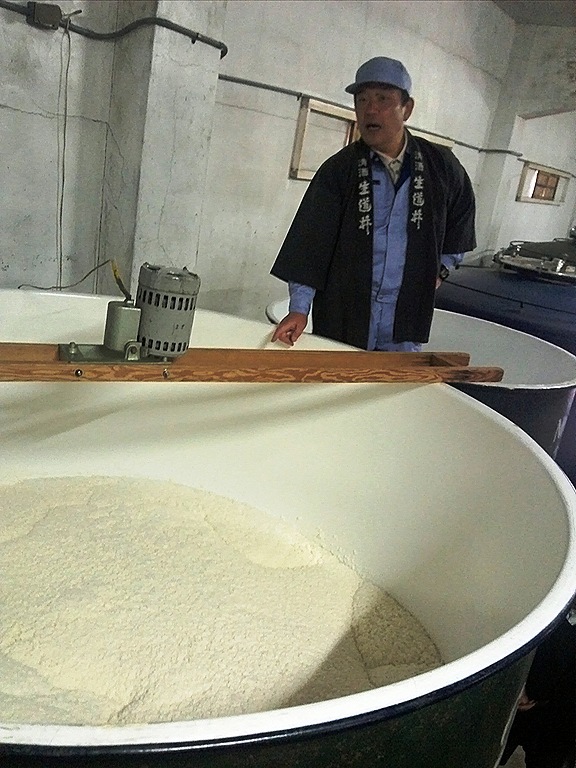 The place is suitable for sake making because of the climate and good quality of water. The building was filled with sweet sake flavor. 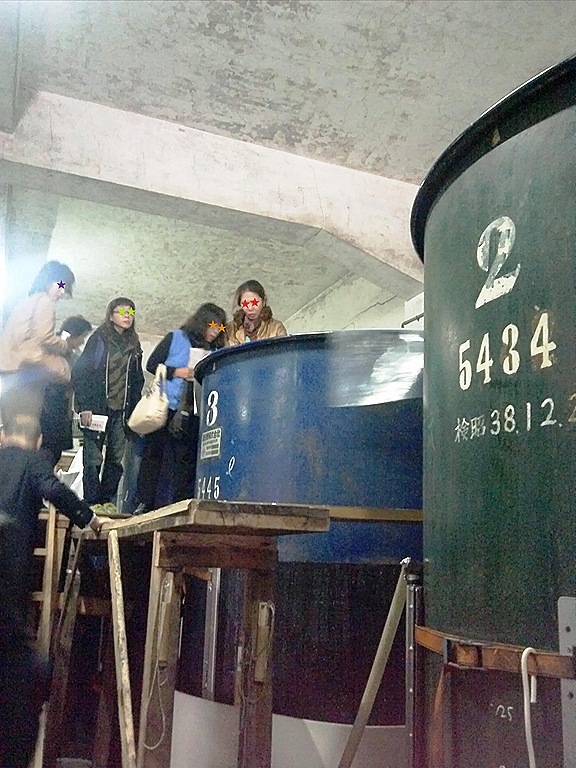 The participants were able to look into a big tank in which sake was fermenting and to taste many kinds of sake. 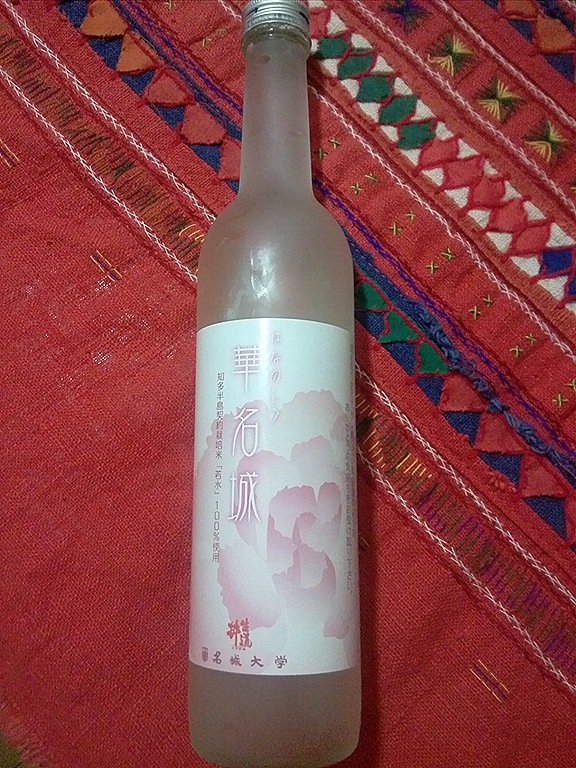 Interestingly, they have collaborated with Meijo University for creating new sake with yeast from carnations. The carnation sake was sweet and smelt like flowers. Actually, the university has also made ice cream from the sake lees. You can try it in a cafeteria of the collage. 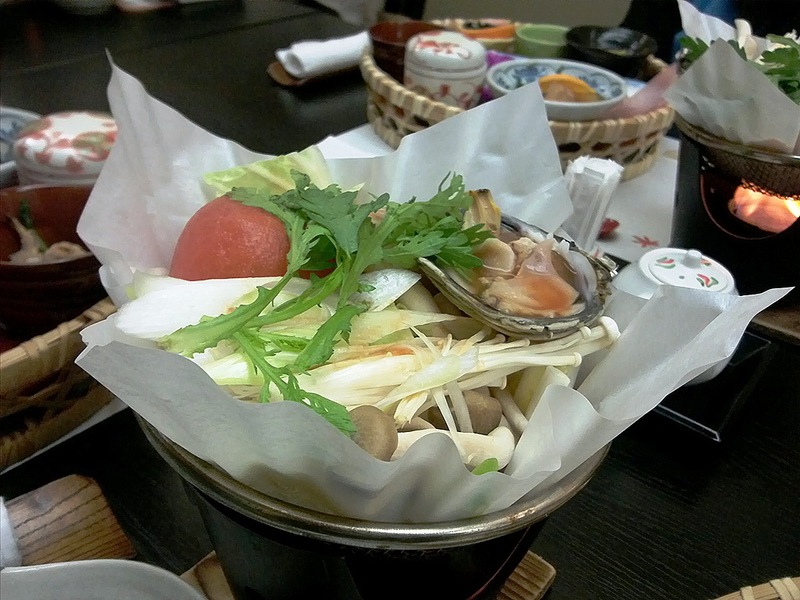 We enjoyed the meal, hearing his lecture on vegetables. 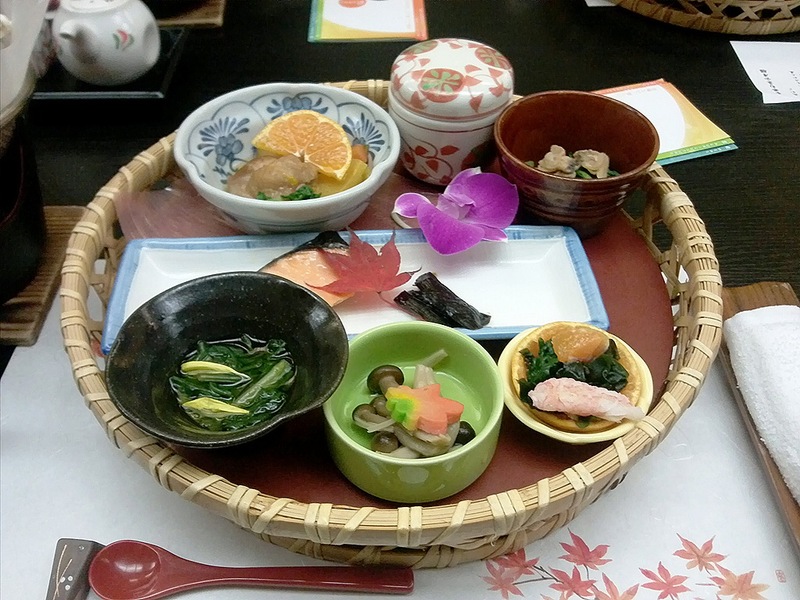 All of the foods were made from vegetables produced in the area: boiled sweet potatoes with tangerines, boiled crams and daikon- radish leaves, boiled garland chrysanthemums, boiled mushrooms with ginger roots, crabs with vinaigrette, grilled salmon with beans paste, fuki or boiled giant rhubarb with soy sauce, steamed egg custard, fried mushrooms, tomato-nabe (fish, crams, mushrooms, Chinese cabbages, garland chrysanthemums, tomatoes, and leeks), and sushi (shrimp, sea eel, fig, bell pepper, wasabi leaf)…Those were delicious! 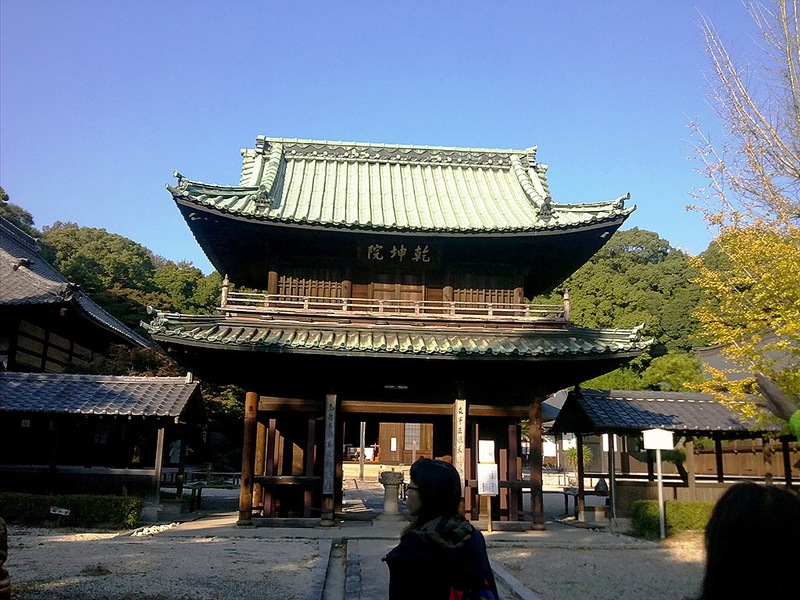 This temple was built in the 15th Century and is related to the mother of one of the most famous feudal lords, Tokugawa Ieyasu. 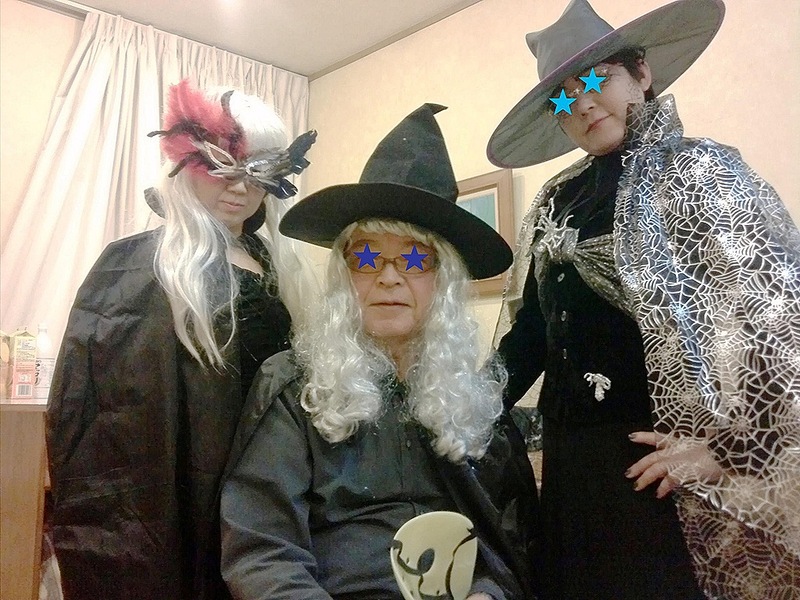 She was from a powerful family, the Mizunos. The temple was located southwest of a castle of the family. Both of “ken” and “kon” mean southwest, and “kenkon” means massive universe. That’s why, the temple has the name of cosmos or space as well. We strolled around the temple with some local guides. The participants and the guides got along well and we had animated conversations during the tour of the historic site. 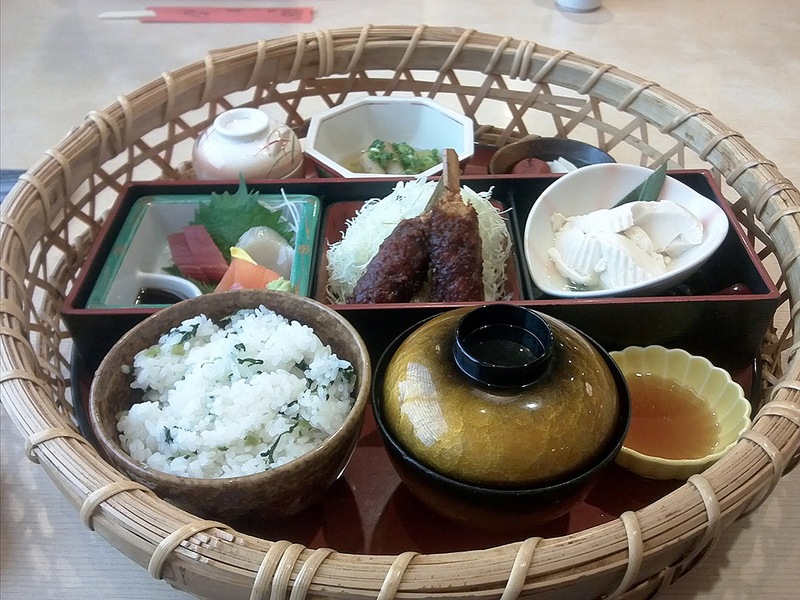 Delicious sake and food, interesting stories, sites, and people…I had a wonderful time! 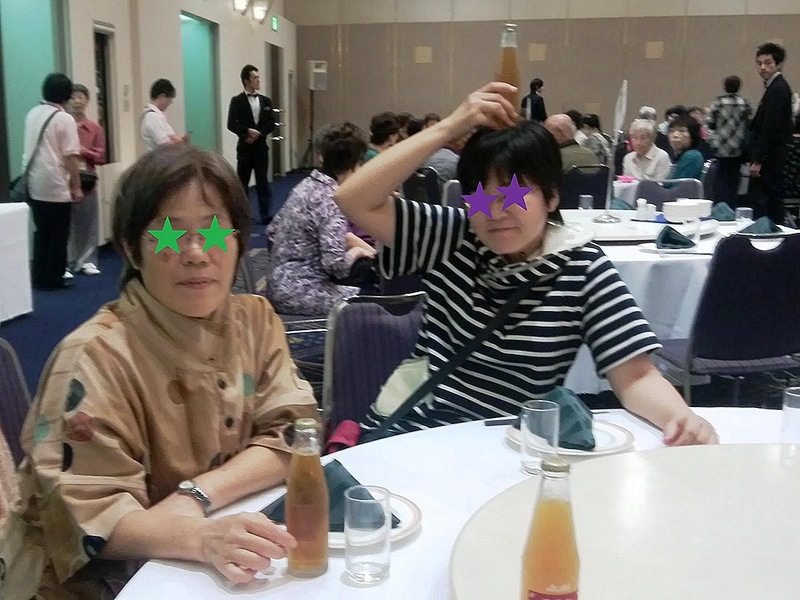 Karaoke Party @ ISONA: This is like we are in an expensive dinner show, isn’t it? 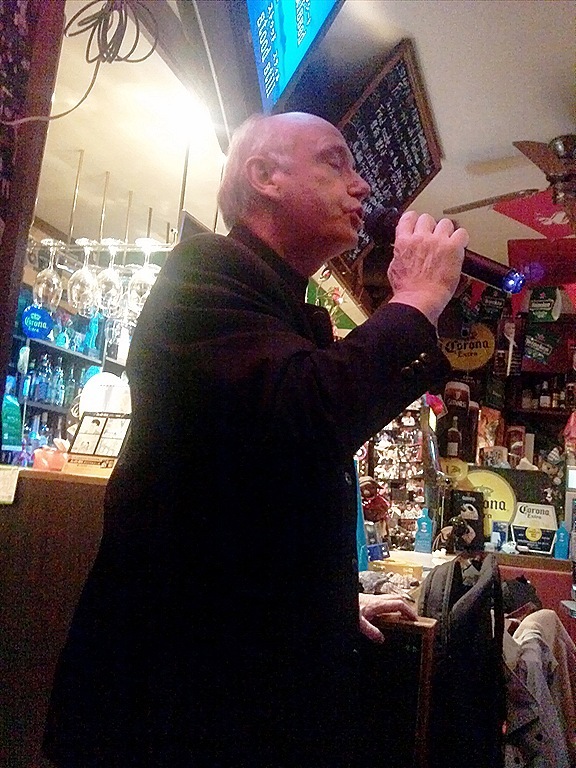 Charlee’s vibrant and resonant voice filled in the small pub Isona. 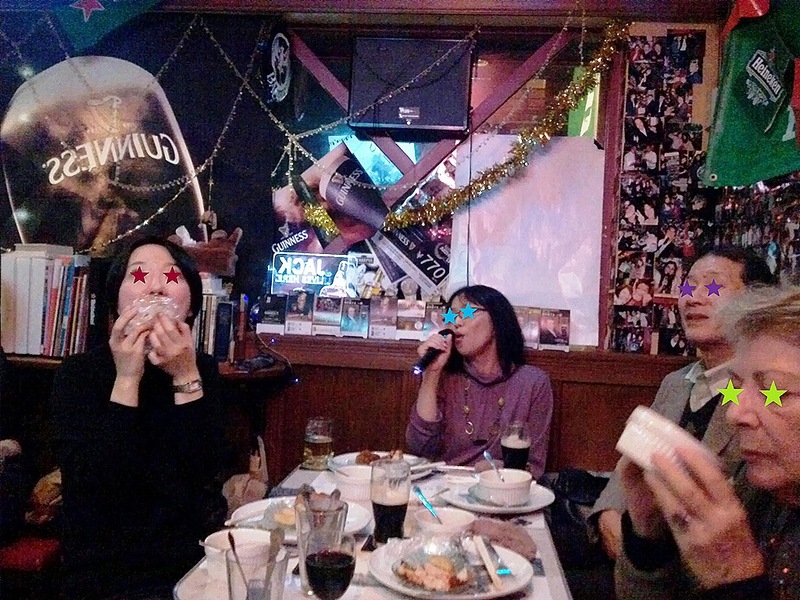 Kenji, a friend of mine held a karaoke party there in the beginning of last November. I was having a good time with some of my friends. In fact, the owner of the pub is also a friend of mine. Although Charlee was using a microphone, I did not think he needed it. He is a professional singer. So, his voice was totally different from the other participants. It did not come from his vocal cord, but emanated from his whole body! His voice is lamprophony. Of course, not only Charlee but also all of the participants sang various kinds of songs. 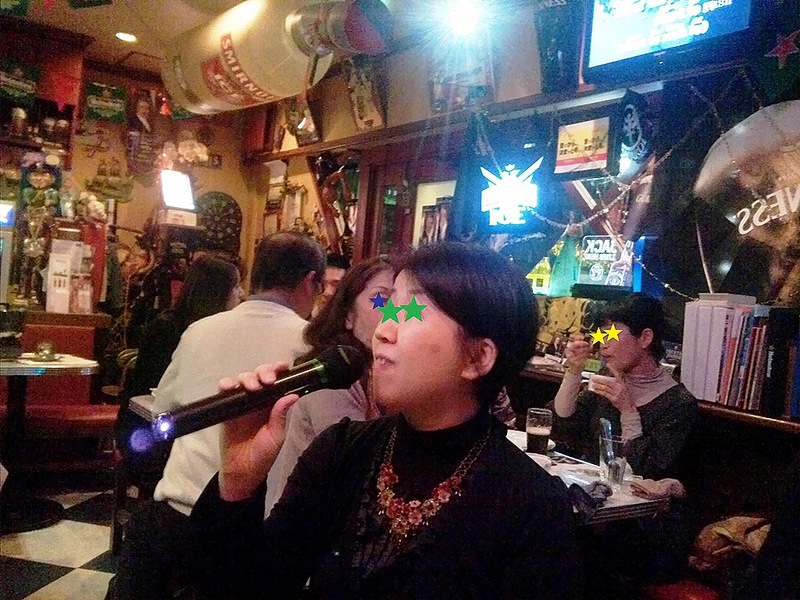 I sang a famous Enka song, Tsugaru-Kaikyo-Fuyu-Geshiki, or The Winter Scenery of Tsugaru Straits, and Duran Duran’s The Reflex. Oh, don’t guess my age! Some of the participants were shy and hesitated to sing at the beginning, but they loosened up and finally transformed themselves into different characters at the end of the session! I’m sure all of us enjoyed the party! Happy Halloween and a Healthy Newborn Baby! 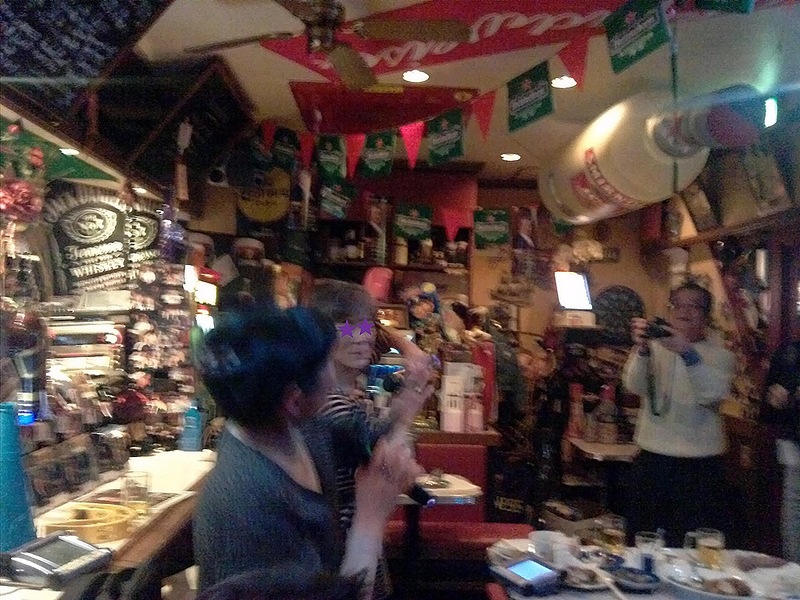 : Do you know Japanese people love to party? Not only Christmas and Halloween but also many cultural things are used commercially in this country, and ironically many people including me like to get in on the crazes! 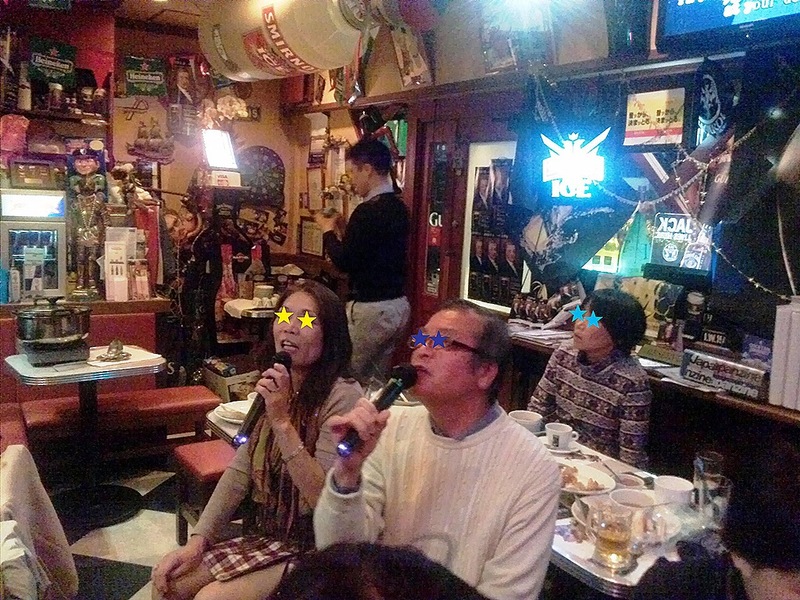 You might have thought Japanese people are shy and quiet. Well, in a way, you’re right. But interestingly they also love to party! 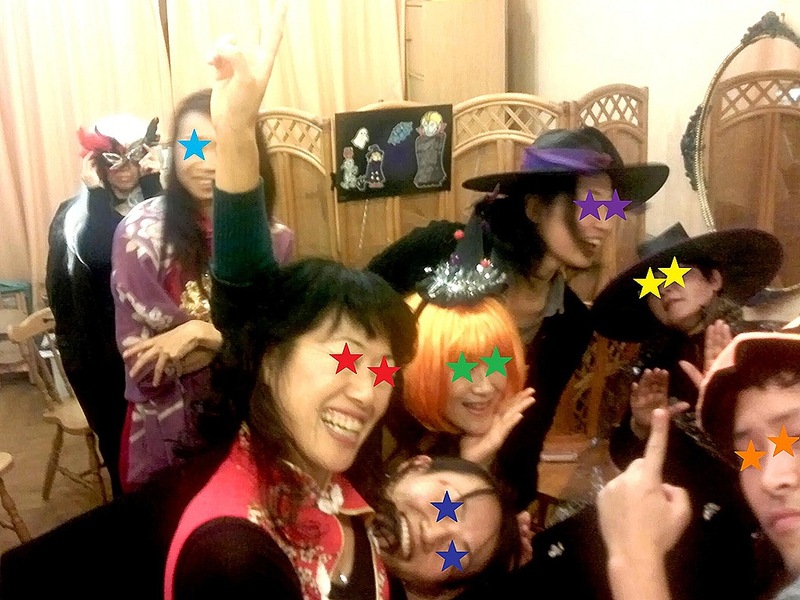 There was a Halloween party at Mairo, the bakery store, near my apartment last October 26. 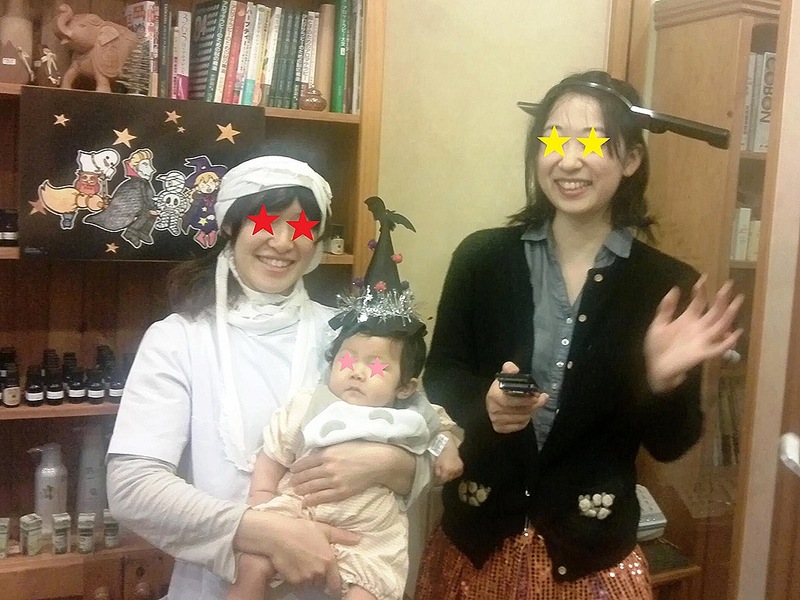 Actually, the shop holds a Halloween party every year, and I take part in all of them…But this time it was not only to enjoy disguising themselves for the participants but also to celebrate the debut day for a newborn baby of the baker. 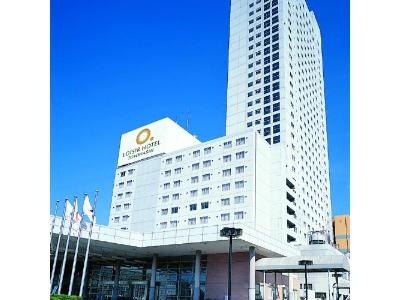 I was able to meet the angel and many of my friends there. 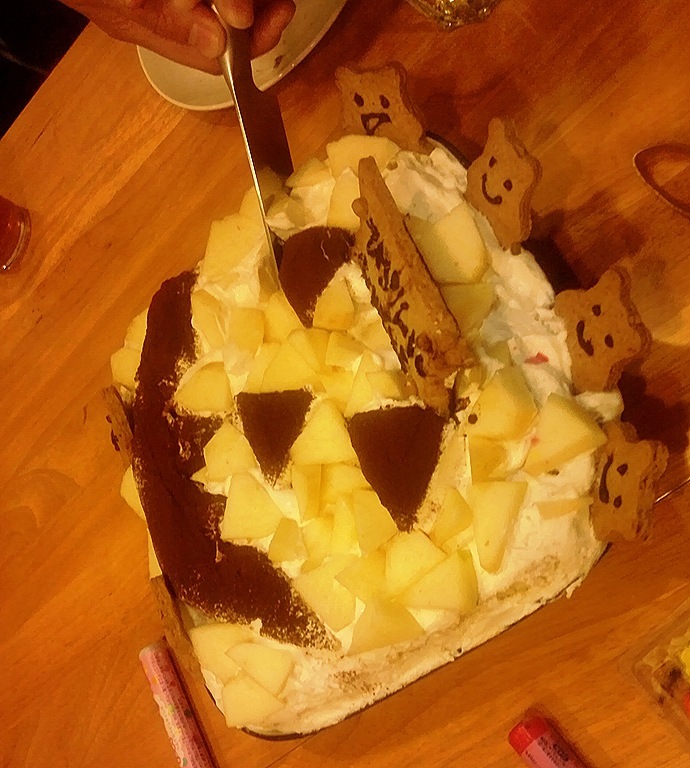 We had a wonderful time over delicious food, beer, wine, spirits like vodka, and jack-o’-lantern-shaped cake. I suppose no one was thinking about Celtic or Christian cultures during the party. But I think it’s okay if many people can drive off their gloom in unusual costumes with their friends over delicious food and drink even though they don’t understand the meanings of the original event. I appreciate the bakery to have had such a wonderful party and wish the baby a promising future! 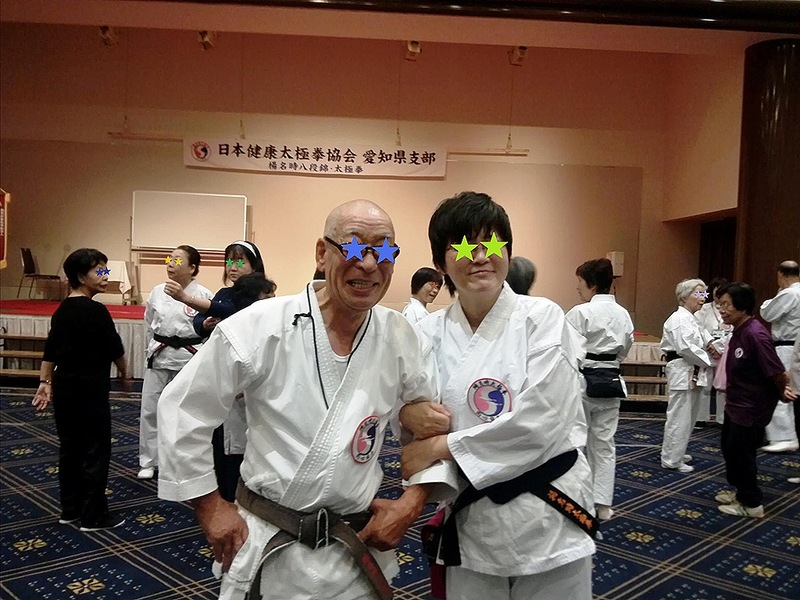 The Tai Chi Camp in 2013: I ate too much again! Then I came to a sudden realization that no one was controlling the intensity but I just felt like that way! 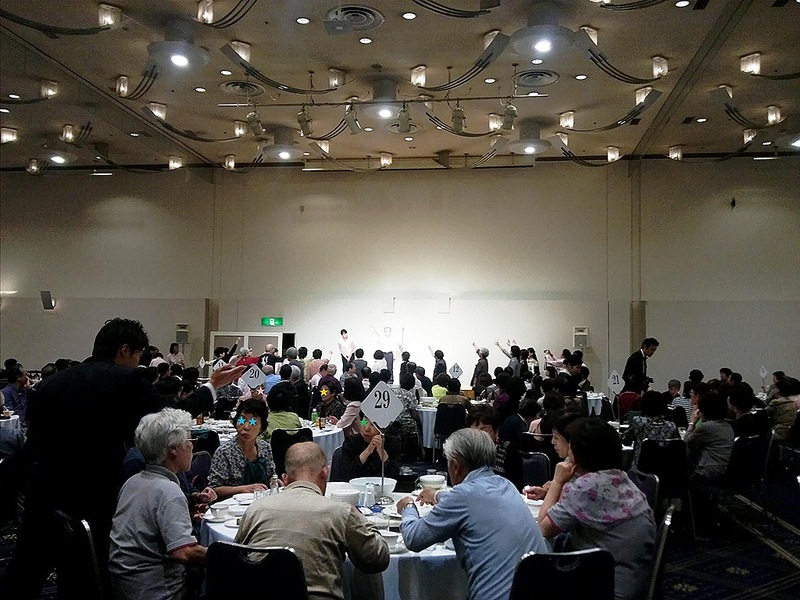 Probably I perceived “qi” radiated from 400 people as light. When I inhaled slowly, the room got brighter and brighter, and when I exhaled slowly, it started darker and darker…How interesting! I’d never perceived “qi” that way. 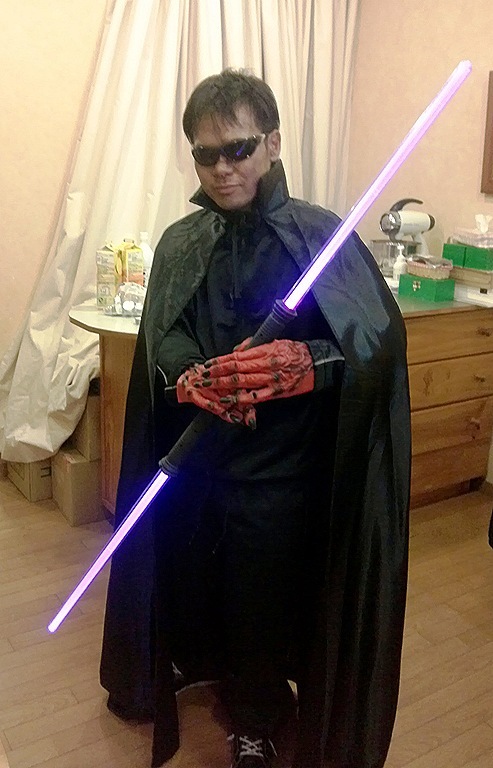 This strange thing happened while I was joining a big Tai Chi meeting in Toyohasi last October. 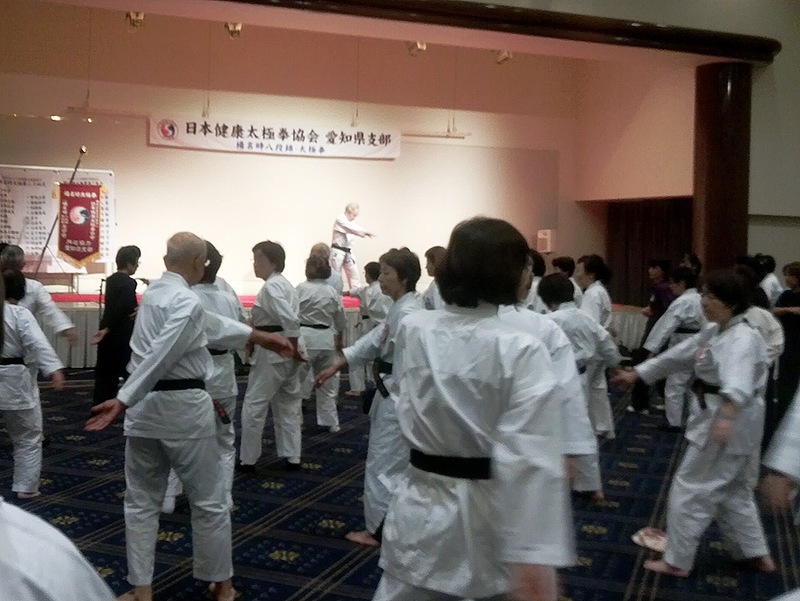 The Tai Chi camp was held at Loisir Hotel Toyohashi on October 5th and 6th. I took part in it with two of my friends. When we got on a train, there were many ladies in it. And I glanced at them, wondering if all of us might be heading to the same destination. Sure enough, some of them who were sitting opposite to us smiled and gave us some candies! Suddenly our car became a kind of reserved train, and I was already able to have a wonderful time before the camp began. The morning training started at 6:30. I was almost a zombie. But I revived by breakfast! 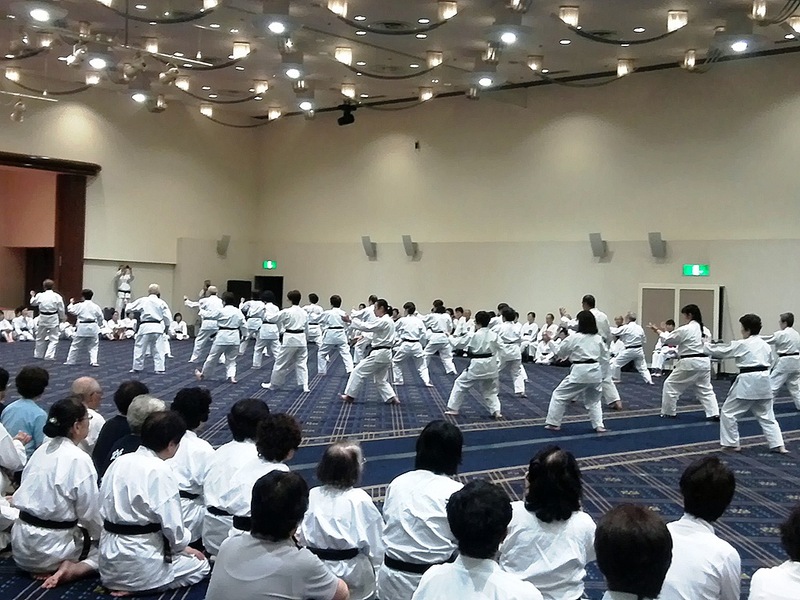 All of the participants practiced Tai Chi around 9:30. And as you’ve already expected, I was sleepy because I ate too much! 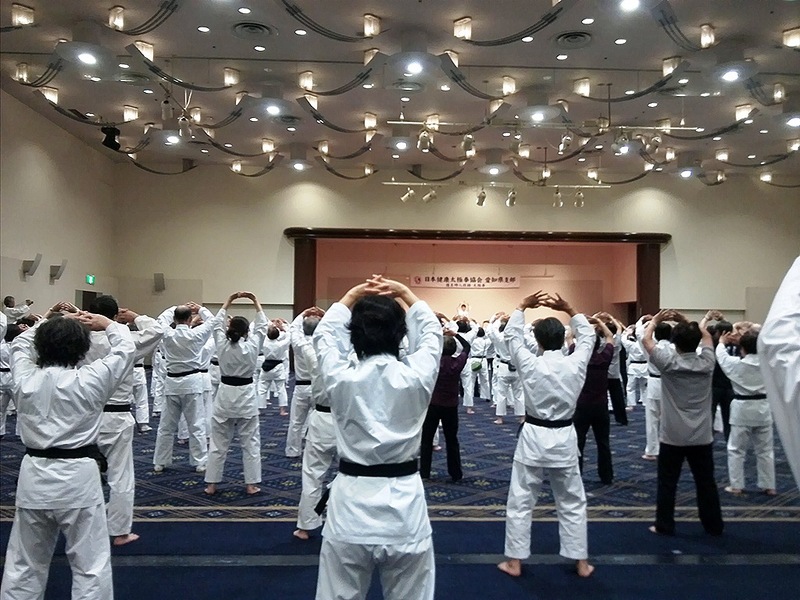 After the session, there was an examination for becoming a master of Tai Chi. More than 60 people took the test and wonderfully all of them passed. I might be more nerves than the test-takers…During the test, there were a great deal of tension in the room… Relaxing after the event, I had lunch together with other participants. Ha ha, I ate too much again! Well, I had a great time at the Tai Chi meeting! It was raining hard on September 15. A big typhoon was getting closer to my area. There were not only heavy rains but also strong winds outside. 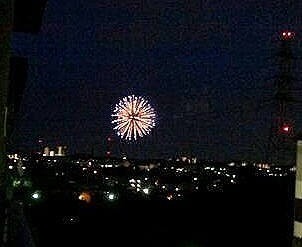 A fireworks display was planned in my neighborhood that evening, but of course, many people including me had given it up. But I thought I heard something big bangs faraway around 6:30 in the evening. Then I opened the window and looked outside. The wind and rain seemed to ease a little. Then a big bright flower opened in the air before me. Wow! A firework! Actually the event was supposed to start at 7:00 p.m., but they began before the time. They seemed to decide to set off all of the fireworks while the weather was lulling. You know, once fireworks get wet, they will never be used. If they hadn’t fired them off, they would have had to throw them away. And it would be very difficult and cost a lot. Around 7:00, when was the originally scheduled time, the weather was getting worse. They seemed to fire the rest of the fireworks at once…The stormy night sky was filled with countless bright lights and glowed with loud blasts for a short time. And then the town was steeped in darkness in a moment.